(CNN) - Sometimes, a football great has to be applauded -- even if he has helped put your team to the sword. That is what happened Sunday when Real Betis fans stood and clapped Lionel Messi after the Barcelona star completed a brilliant hat-trick in a resounding 4-1 win for the Catalans. Cries of "Messi! Messi! Messi" reverberated around the Benito Villamarin Stadium in Seville as the Argentine chipped in his third in the 85th minute for his 33rd La Liga hattrick, 45th for Barcelona and the 51st of his career. "No, I can't remember that happening before. I am grateful, we are always treated well when we play here," Messi told reporters after being asked about the Betis fans' reaction. Messi's hattrick included a 20-yard free-kick, a toe-poke from a Luis Suarez backheel and then a chip from inside the box which went in off the crossbar. The win puts leaders Barcelona 10 points ahead of Atletico Madrid in the league with 10 games remaining. "Even though the opposition concedes goals to Messi they can still enjoy this unbelievable era which he has created, they enjoy it too and today they recognized that," said Barca coach Ernesto Valverde, according to Reuters. "It's significant that they gave him this ovation, it's an acknowledgment. Our rivals' supporters have to suffer him but they also appreciate him, because of the player he is. 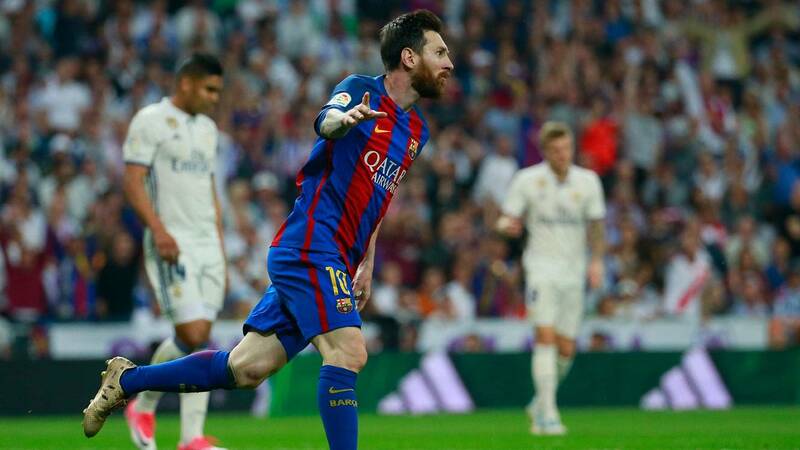 Messi, Barca's all-time leading scorer, enjoyed another milestone as the victory was his 477th for the club, surpassing Xavi Hernandez's record. With 29 La Liga goals this campaign, the 31-year-old is leading the way in the race for the Golden Shoe award which he won last season. Juventus fans acknowledged the brilliance of Cristiano Ronaldo's bicycle kick when the Portuguese was playing for Real Madrid in a Champions League tie, while Brazilian Ronaldinho, then playing for Barca, was cheered by Real Madrid fans in 2005 and, likewise, Ronaldo by Manchester United supporters after he scored a hattrick for Real Madrid.